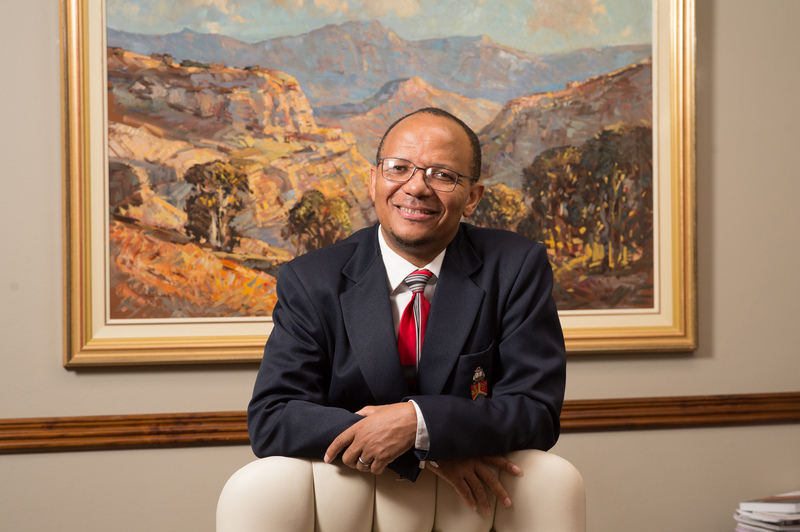 The University of Pretoria operates within a national landscape where access, success and equity, quality, relevance and broad transformation have been proven to be a challenge. As Dean of the Faculty of Education, my vision is located within the broader 2025 vision of the University namely: To be a leading research-intensive university in Africa, recognised internationally for its quality, relevance and impact, and also for developing people, creating knowledge and making a difference locally and globally. Students entering study at any level will therefore find a competitive but supportive environment in which every student is taken seriously and competently prepared to excel as a professional in any part of the world. In its pursuit teaching excellence the Faculty has embraced the university’s hybrid teaching and learning model which is an optimal blend of face-to-face and virtual (or online) learning opportunities for students. This model provides the best of both worlds – face-to-face teaching where it is most suitable, but enriched by the wide range of virtual learning tools and products (YouTube videos, mobile apps, narrative Power Points), that are becoming available. The Faculty will thus produce teachers that technologically inclined and literate in order to respond to a rapidly changing teaching environment in schools. The Faculty prepares education and training professionals who come from pre-primary, primary and high schools; clinics and hospitals; the training environment in business and industry; government and non-governmental organisations; and from the adult and community education sectors. The BEd degree is the best option to becoming a fully qualified and professionally registered teacher. If a student is passionate about teaching any one of the following three school phases will be of interest: Foundation phase (grades R to 3), Intermediate Phase (grades 4-6) and Senior and Further Education and Training Phase (grades 7-12). The form of presentation of programmes by the specialised departments allows a BEd teacher to continue with BSc Hons or BA Hons in their specialisations. With these qualifications, an Education student can also study towards a Master’s or Doctoral degree in the different fields of specialization. Education students also have a student teachers experience at schools where they do teaching practice from their second year onwards, finally spending fourteen weeks in schools in Pretoria and around South Africa in their fourth, final year. Our teachers are rated as the most easily employed of all of South Africa’s universities, as are the university’s other graduates. Well prepared professionally, and recognised as having in depth subject knowledge they are adaptable, able to extend their knowledge to cope with changing curricula and societal needs, creative and confident. The Groenkloof Campus is home to more than 3 500 Bachelor of Education students and, from this group, well over 800 of our students graduate to enter the teaching profession annually. It is clear that education is a high priority in a country in which some studies have shown that only 7% of matriculants enter public higher education, 12% enter other forms of further and higher education, 30% acquire a job and a total of 51% of the youth are unemployed. Education is the priority. The Faculty of Education is ranked in the top 200 in the World on the QS World University rankings; it is rated as the top educational faculty in South Africa in terms of the number of NRF-rated researchers; the Faculty is internationally recognised for its academic reputation, employer reputation and citations of research. Its Bachelor of Education finds its strength in its partnership with leading specialised departments and faculties. The Faculty of Education at the University of Pretoria is a place of choice for reaching the teaching career for those with a passion for learning.